This last year has been full of airplane rides and early mornings for the School Partnerships team here at Inflexion as we work with school leadership teams up and down the West Coast. Listening to the radio on one of my late night drives home from the airport, I caught part of a Freakonomics interview with the managing director of a team that started as part of the British government known as The Nudge Unit. According to their website, this unit is “the world’s first government institution dedicated to the application of behavioural sciences.” It has focused on not just explaining what citizens SHOULD be doing, but also finding strategies to actually change behaviors in order to achieve the initiatives set by their colleagues within the government. While listening to the interview about their work and findings, several key strategies reminded me of how our partner school leadership teams set strategic goals. These teams work to create school environments where readiness and success are defined by students’ engagement, adaptability, and their ability to apply what they learn. The schools we work with want all students to be prepared for their future and to understand how their day-to-day experiences in school will help them get there. But there are big challenges when it comes to changing the school environment so that ALL students gain the skills (cognitive, social emotional, and academic) needed to launch into a world that is increasingly more complex to navigate. How do school leaders begin to change systems that have been in place for so long? How do they build off of the many supports, programs, and community strengths that are already a part of our schools to create an environment where students understand how what they do in school each day will prepare them for “real life”? We know that answering these questions are imperative for our students to become life ready, but how do we empower educators who are already working so hard to take on such large challenges? “Wait, what? Only one? But our students need support in so many areas!” True, but The Nudge Unit actually found that if we really want to achieve goals, it is important to focus on one goal at a time with a clear target and deadline. According to lessons learned from their work and from what we know from many other sources in behavioral science, setting multiple goals results in those goals competing for our limited cognitive attention which leaves us constantly thinking about the trade-offs between the goals. As we work alongside educators who are setting goals for their schools, we encourage them to use a similar approach. For instance, after teams inventory what they are currently doing to support student learning on their campus they are often amazed at how much they are already doing. What tends to be missing is a clear vision or set of outcomes for how these supports are preparing students for what they will need to be ready for the future. Students will understand a holistic set of outcomes/skills they will gain every period, every day at our school. They will leave our campus knowing what skills they gained, how they gained them, and how they can apply those skills as they move on to what is next. By 2020, 95 percent of our students will be able to identify and articulate what skills they are gaining in every school experience whether that is a classroom project, participating in a club or extra-curricular activity, or volunteering for a community service project. In the book, they give an example of a program in India where families were given access to a financial planner to help them meet their savings goals. Some families were encouraged to set a single goal for saving (i.e. health care costs, children’s education, retirement). Other families were encouraged to focus on several of those saving goals at the same time. 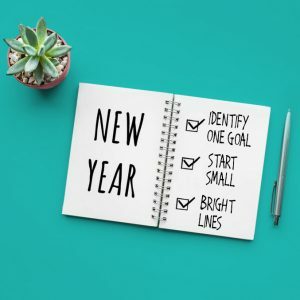 Although it might seem smarter to focus on several goals since all are likely to be future expenses, they found that those who set a single goal more than doubled the amount they saved (significantly more than those who set multiple goals). Gather feedback from students, staff, and families to make sure the outcomes are relevant and that the school community is informed and invested. Ask students quarterly how they are gaining the outcomes or skills identified to hold all staff and students accountable as they ensure students achieve the identified outcomes. Ask all school staff quarterly how they are explicitly creating environments and opportunities for students to develop the outcomes or skills in their daily interactions. Plan one schoolwide student event that reinforces and empowers students to use the outcomes or skills identified. Provide at least two support resources annually to all school staff so they are empowered to connect their role in students’ daily routine to the student outcomes. Publicly announce our outcome goals using parent nights, classroom posters, assemblies, and newsletters. Make our student outcomes part of our daily routine by setting up commitment referees made up of student and teacher groups. Encourage the school community to reach its goal by setting up rewards or experiences for the whole school or various subgroups. As I work with a variety of schools, I am daily inspired by the commitment of educators who show up to nurture, teach, inspire, and empower their students. It is easy to understand how the weight of that responsibility can be overwhelming, but the educators I have the privilege of working with continue to rise above the day-to-day responsibilities. We have to think differently about how we can change systems to make sure that we have systematic ways to identify students who are falling through the cracks and are not being supported in the ways needed to become future ready. Our team at Inflexion strives to use some of these insights to make sure our goals for students become a reality and that we have an educational system that empowers students to be their best selves.